She’s often said many people are caught off guard and flummoxed by the question. 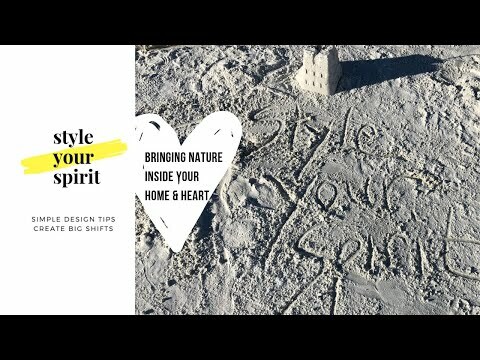 But there is no reason to be scared away by the word “spiritual” or “spirituality.” She explains that what she means is, “What do you do daily to take care of yourself?” That’s because Oprah wonders how the potential employee would take care of her business if he/she isn’t taking care of their well-being? No wonder why Madame O is queen of inspiring us all to live our best lives. Taking care of yourself starts right when you wake up. One of my all-time favorite happy places is … anywhere in nature. The energy she emits. The calm. The natural design of Mother Nature cannot ever be compared to anything man or woman has made. Period. A few weeks ago, I was invited to a Sunday brunch and thought it would be a lovely offering to give flowers, nature's gift of life, to a friend. 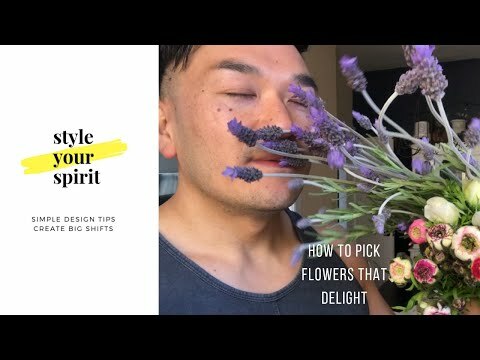 I also decided to buy a few extra bunches to give as an offering to my home and myself, lol. 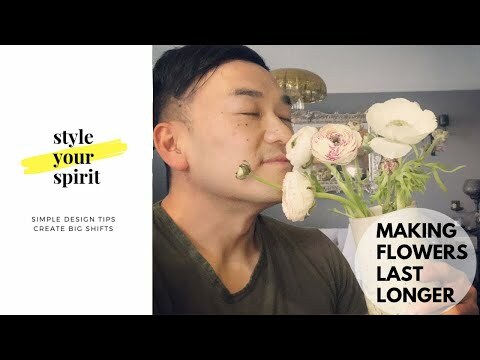 While arranging these flowers, I was surprised by the life lesson that blossomed. 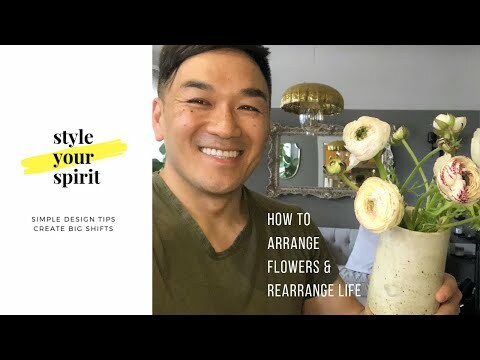 It was as if the flowers were talking to me saying, "How is this process helping you rearrange your life, Toan? Sharing is caring — I hope this epiphany will impact your life, too. How many of you own a candle? Now, how many of you take care of your candles? 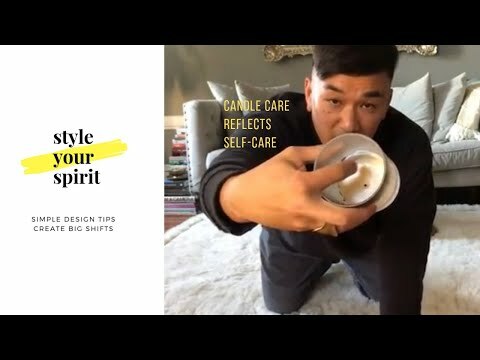 Maybe I should start by asking you if you even know about Candle Care 101? 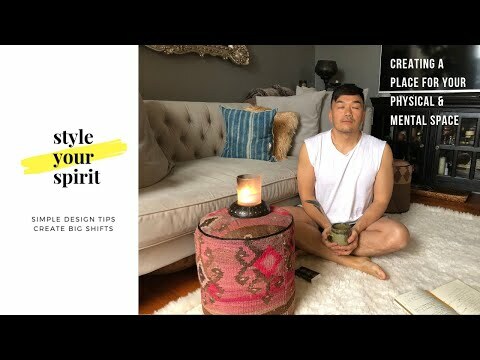 Candles literally light up a room and can, in the words of Marie Kondo, “spark joy.” I love how the delightful scent of a candle can liven up your space, change the energy and bring you into the present moment. But if you don't take care of your lovely light bearer, the wick could get wickedly yucky, dangerous, cost you money and burn time. Boo. So, how should you take care of your candles? Go Inspire Go is growin’ and changin’ y'all. And that’s thanks to YOU for inspiring me to constantly grow + be better + do better — for myself and for others — for more than a decade. Today I’m inviting y’all to look inward, look outward and look beyond. There is beauty all around us — outside and inside — and you deserve to see and feel it (Lawd knows the world currently needs to see and feel more beauty to heal). 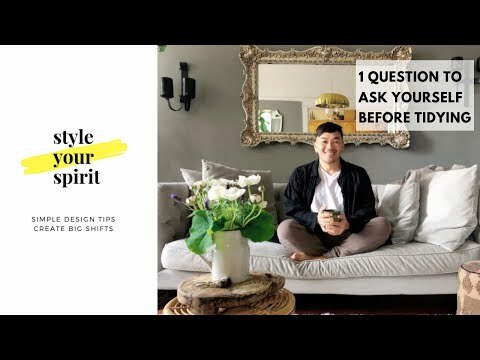 We’re now expanding with a Life + Style segment called Style Your Spirit. I’ve spent nearly a decade scouring the world in search of everyday heroes, sharing their stories and spotlighting them via my Go Inspire Go platform. In return, I’ve been blessed with true riches in life — meeting people who are tapping into their power to give back. They inspire me to be better and do better and I hope they do the same for you. 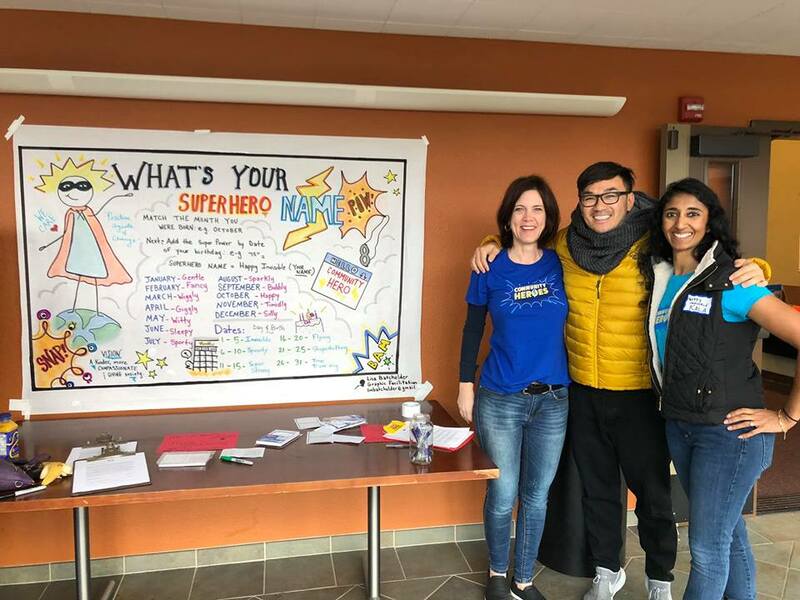 People like Kala Shah from San Rafael, Calif., a mother of three adorable boys whose superhero power is community building. When I met her several years ago at a LinkedIn networking event at the snack table (all heroes need nourishment to do our work right? ), she and I talked about her yearning to create a ME to WE movement with the youth. I told her that I had a similar yearning, to take my superhero power of connecting people through storytelling on the road and reach the youth. Weeks later, we activated and met a café to start brainstorming ways we could groom the next generation of community heroes. She invited me to her sons’ school to tell the kids stories about everyday heroes at an assembly. The students were hungry for more. Kala infused her energy and inspired the Community Heroes lunch club and eventually created the Community Heroes nonprofit organization. Kindness is contagious right? The kids wanted more. They begged Kala for a supersized day where they could all come together. The Day of Giving was born. Sounds fun right? Well, time flies by when you’re having fun. Fast forward to this past week — the 6th Annual Community Heroes Day of Giving. The energy swirling around the room was energizing, uplifting and empowering. Words can’t describe the buzz of pure joy that came from the kids who were excited about using their power to give back. Some kids talked about how their family struggled with cancer and how they hoped that the capes would comfort the recipients’ battle. Nearly every day, I hear people talk about how helpless they feel about the daunting news, from the political climate, environmental changes and real-life battles with another suicide or friend being diagnosed with a life-threatening disease. 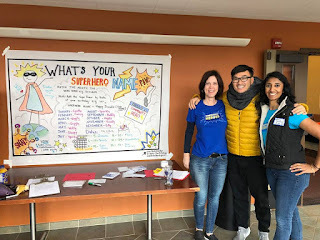 I am daring you to take on this challenge: Take note from these bite sized heroes and start small, think about one thing you can do to make someone’s day brighter, and bit by bit, we will create a community of change. The most important lesson these heroes experienced and learned is that true joy comes by giving back to others. Students reflected on the supersized day as the event came to a close and talked about what kindness, empathy and compassion feels like. They realized that it only takes one small act that ripples out to meaningful changes. To every hero in our universe, thank you for using your POWer for good. And double daps to our girls and women on this special #InternationalDayofWomen. POW! INTERESTED IN joining forces with Community Heroes? Reach out to us at ComHeroes.org or be an event sponsor for next year’s event.